Hey, Puff Puff, I've missed you. The countdown has begun is over. Well I’m not quite sure how I went from 6 weeks to go to 1 day to go in the space of about a week but there you go. Here I am with only one day to go before I fly to the States and the next adventure begins. I have been really busy beavering away in the background updating my website, being very sedentary – not great preparation for the trail! I am really pleased with the progress so far. I still have a huge amount of stuff I would like to do but time has run out for now, and anyway, it will give me something to focus on in September when I am deep in battle with the post-adventure-blues. I would love for you to take a look around and let me know what you think. It wouldn’t have been possible to do without the support of my Patrons, so I have to say a huge thank you to all of them. If you would like to join them and help support this blog then you can visit my Patreon page and donate as little as $2. Other than buying a few new bits of kit, and replacing some worn out bits, my preparation for this hike has been pretty limited. The biggest thing I have done is put on a load of weight. I think I may have taken it a step too far because I am starting to feel really uncomfortable now! I have been scouring instagram and looking at all the people who have already started the trail, it looks like they are having some unusual weather this year – just like the rest of the world. It has been unusually cold and snowy and icy and everyone I have seen has been wrapped up in all their layers and waterproofs! 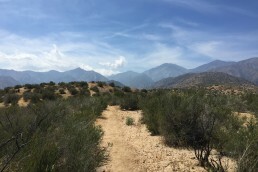 But in the last few days I have had reports of hot weather around the start of the approach trail so things might be looking up. Have also seen news of a forest fire and about 7 miles of the trail are closed in Virginia somewhere. So I will just take each day as it comes, and if there is a closed section then that’s just how it goes. Not only has this become normal for me, it has become normal for everyone around me too! I am sure there is something profound I could say about that but I can’t think of it right now. I am actually really looking forward to picking up the blog again, I miss writing every day, or maybe it’s more the fact I miss having something to write about every day. I am looking forward to being this stinky hiker again. Looking forward to washing every couple of weeks and it not mattering. I am looking forward to reconnecting with the outside and waking up with the sun and going to sleep with the sun. Living out of my tent and sleeping in a different place every night. I am excited for all the people I am going to meet and how they will impact my life. I’m hoping to see some people I know although they are so far ahead I doubt I will catch them. I have my fingers crossed for some trail magic from some old trail friends – just seeing them again will be magic enough. What I am not looking forward to is eating tuna and ramen again, but you have to make some sacrifices every now and then. There are loads of ways you can follow along. Scroll down to the bottom of this page, enter your email and hit subscribe to get an email every time there is a new post. Find me on Facebook and Instagram, and this year I hope to be able to do some more video updates so subscribe to my YouTube channel. Or check out this page to find all the ways you can support me on my hike – you can become a Patreon, buy me a burger through PayPal, donate to Just a Drop or just send me a supportive message – a nice message goes a long way to boosting mental resilience! 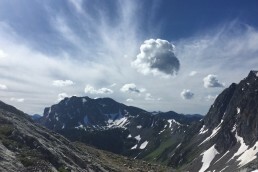 Pct SOBO DAY 4 – Puff Puff and the Nearly Dead. So excited for you, Alex, and for me because I will happily follow your hike! I even started rereading your first PCT hike; you write well and include such interesting tidbits. Best wishes for this hike, and stay safe. Thank you Mike and June! Looked like you were having a good time today when we chatted at the picnic table! Hope the camping was good and the storm wasn’t too long..
Great to meet you! I got completely soaked in the storm! But it didn’t last too long and i was able to get nice and dry in my tent! will I have to get wordpress reader to follow your blog, or will just type Puff Puff 2018 A. 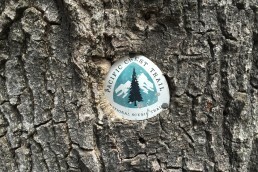 Trail blog, as I did to get here? Hi Jim! If you scroll all the way to the bottom of any page on my blog there is a box where you can enter your email address then click the subscribe button. That will notify you by Emil when there is a new post!